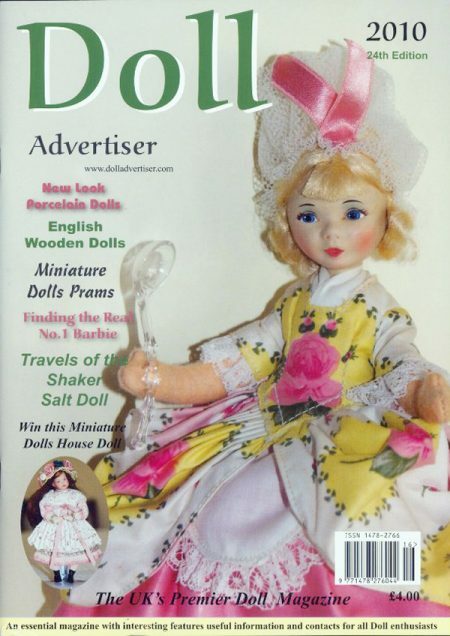 Character dolls are always appealing and everyone has a certain magic. 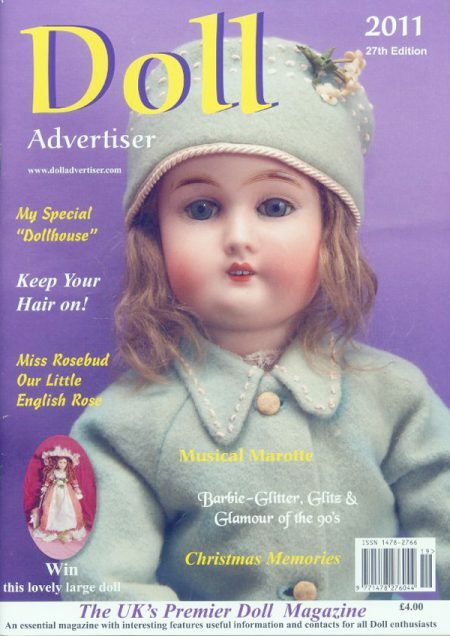 There are many Doll Artists who create such wonderful dolls. This picture opposite is of a cloth doll sat on a piano together with surrounding cats (even the doll is dressed in a cat design jacket). Many thanks to Joyce Patterson, who sent me this charming doll and friends. Lots of interesting reading for this Edition that I had to increase the number of pages to 64. There were even lots more articles, but they will have to wait till next time. 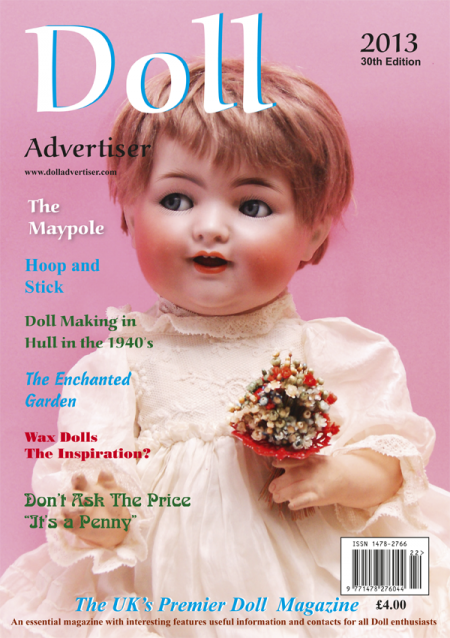 Some of the articles in this issue include, Farnell’s Alpha Toys by Gillian Trotter, vintage Paper Dolls. “Girl Pilots” by Lorna Currie and Heather Bond’s “Amelie” is certainly a doll to be desired. 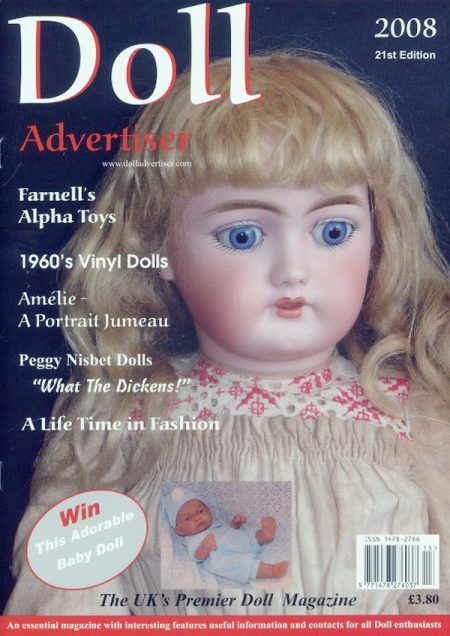 It is interesting to note how antique doll prices have changed over the years and Constance King refers to some of these dolls in her article. 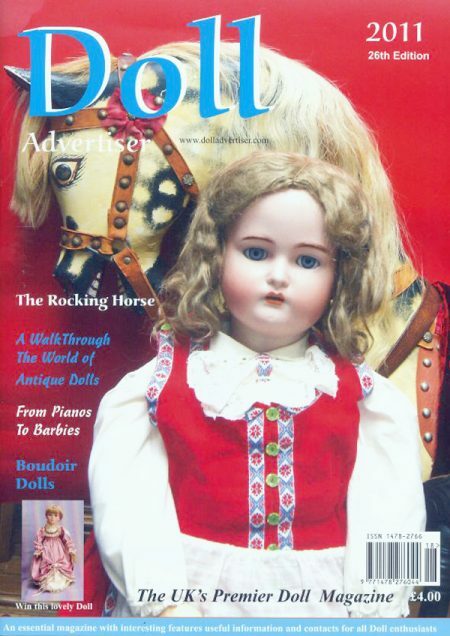 Any interesting news about dolls is always appreciated.